As an accredited ILM Centre for coaching, our signature Coach Training for Managers course is part of our certified portfolio of ILM coaching and mentoring courses. 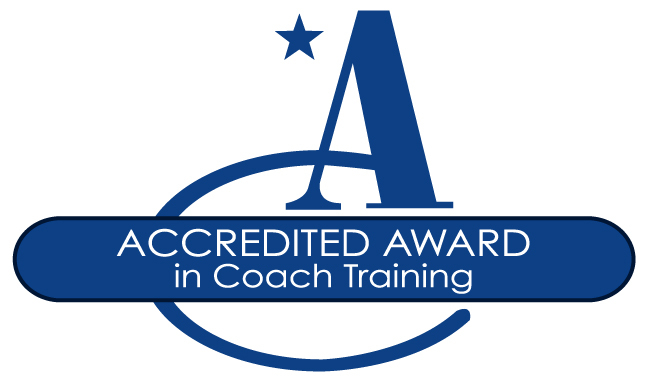 The training lasts for five days over several months and includes everything required to become an accredited coach, or an authentic coaching manager. We have delivered this coach training course in 33 countries and several languages over the last 15 years, and it has often been named as the best management course participants have ever attended. Based on Sir John Whitmore’s time-honoured GROW model, this training will transform a manager’s leadership style, and the practice with other participants brings about a change in self-awareness, energy, potential and personal impact at a profound level. are based on proven methods, like the GROW model, and the use of unique and novel learning techniques directly acquired from Sir Richard Branson, Sir John Whitmore and other thought leaders in the coaching arena, including Tim Gallwey and Nancy Kline. We are an ILM Centre approved to deliver Level 5, Level 7 and Diploma ILM coaching and mentoring courses. The ILM (Institute of Leadership and Management) is the UK’s awarding body for general and specialist management qualifications. It is the leadership arm of City & Guilds, which awards NVQ qualifications, and its awards are internationally recognised. Our coach training for managers training team are all fully qualified in our methods and have worked with us for five to fifteen years, delivering coaching and mentoring training based on the GROW model. They all have experience as managers in the workplace themselves, as well as at least ten years’ experience at delivering coaching and coach training to managers at all levels of seniority including CEO. Our trainers are experienced coaches specially selected for their presentation skills, empathy and ability to provide a safe, though challenging, training environment. Our coach training courses are fast moving and intensive. The content is pragmatic and constantly adjusted to relate to the participants’ own workplace and unique challenges. We believe that every minute in the training room must deliver something useful and practical for participants to take away. Our coach training consists of demonstrations by the trainer with volunteers, group discussions and participant practice. People learn by doing and focus what is relevant to them as individuals. In between the training sessions there are practical assignments enabling participants to integrate the skills, experiment and stretch themselves within the safety of course buddy coaching sessions, and develop their own unique way of using coaching skills in tune with their leadership style. We encourage managers to learn and copy the skills as taught on our coach training courses, integrate them through practice, and then throw the rule book away. In this way, it is possible to manage with a coaching approach but in one’s own authentic style, congruently with one’s personality and values. At times managers must tell people what to do or what not to do, it is part of their role. Within a holistic coaching approach, where trust is high and people are freed up to develop their potential, such direction will be an inspiring and motivating part of the relationship between boss and report. This ILM coach training for managers course is divided into two or more modules. Between the modules, participants are paired with another course participant in order to practise their skills in a safe setting. This builds confidence and fluency, enabling them to embed the new skills and use them in the workplace after the course is over. All modules of the coaching training for managers course are specifically tailored to examples relevant to your organisation, and participants coach each other on issues currently occurring in their workplace. We are skilled at integrating our programmes into your existing coaching and leadership models and methods so that your investment in prior learning is not lost. We are committed to ensuring that the impact of our interventions with your organisation is captured in a way that is meaningful to your business. We will work with you to develop a method that meets your specific requirements and gives you the information that you need throughout the programme. “It is the best course I have been on and the most useful one to me in my entire life, not just at work. I am glad the company is investing in it. I will willingly take part in more calls and will continue with the practice. On a lot of courses, once the course is over you go back to daily routine. With this, because we had the assignments it made me think about what I had learned and put some discipline in there and made it more useful.” – Dawn Calderbank, VP Retail Channel EMEA at NCR Corporation. “Then, this year came to me with a gift, a precious and immeasurable gift: Manager-as-Coach training. None of the previous courses around people management I ever attended has brought me such a powerful and impactful method to help people reach their own goals. 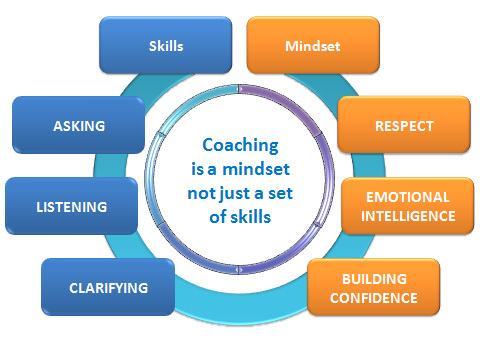 It has been a real eye-opener and a revelation of what a coach is”. – Dominique Andrey, Manager Quality Assurance, Philip Morris Products SA, Switzerland.